The artist’s daughter Robin is an avid hunter and collector of deer trophies. As a play on words, he used the famous line from “Gone With The Wind” for the deer’s name. 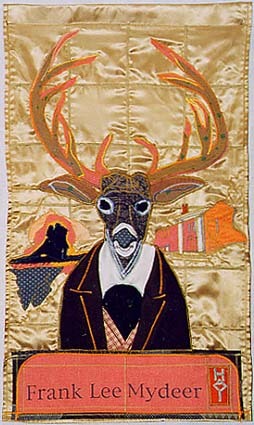 The deer wears period clothes and the silhouette is from the 1939 poster. The artist is interested in doing other “non-figurative portraits” as commissions. Send e-mail.